‘Charity begins at home’ as the old saying goes… Well, so does energy saving! 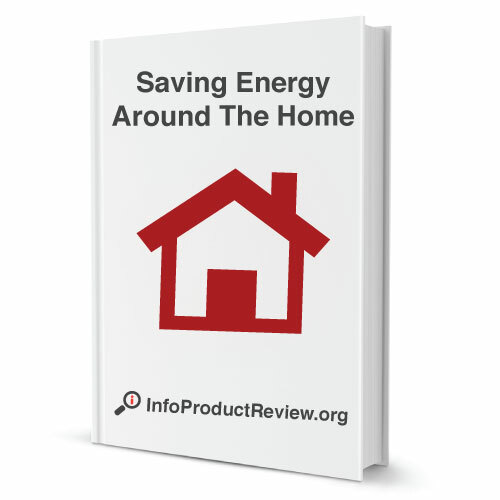 While we go to great lengths at IPR to find products that help individuals create their own alternative power sources, in most cases, the biggest savings can be made through a bit of common sense around the home. We put this short eBook together to help get you started… Click the image to the right to download or checkout the preview below. When it comes to saving energy, and the pennies, lighting is probably the most well known areas and the easiest to put into action. The last few years have seen a big change in the household lighting industry. The most evident change is with low energy light bulbs. Where a few years ago they were frowned upon as a design embarrassment, they are now accepted as the norm. The concerns about the lower level of light they emit have long since been abated and as with a lot of concerns, in practise they were not found to be more important than the energy saving advantages. And on the issue of style, the lighting manufacturers have adapted styles to incorporate the different shape if this is of issue to the consumer. However, it is mainly seen that the light bulb has evolved and it is an accepted look. When it comes to making an instant, easy and effective change with lighting and energy savings, it is the most obvious that can make a real difference – turn lights off! Did you know that your lighting accounts for approximately 8% of an average household’s energy bill? Simply by switching off a light when you are not in a room is an instant saving. It may seem obvious, but we all do it. If you are leaving a room for a period of time, switch off. It also pays to put some thought into what lighting you use. For example, in a living room, a variety of lighting options can create a warm and cosy look, as well as meaning there is a light for different purposes. When you are watching TV, it can be nice to have a lamp on as opposed to an overhead light that is brighter, or a reading lamp by a chair can provide more than adequate light for the purpose it was designed for. Think about where you put your lights. Not only does it add to the ambience of a room and make an individual style statement, it gives you flexibility for your lighting needs, meaning one bright light is not the first option. This is also a wiser choice than the dimmer switch that a lot of us have and may think is an energy efficient option. Change the way you think about your lighting today and most importantly – switch off! Ahh, modern living. Where would we all be without computers, laptops, hand held devices….and the list goes on. Our lives have undoubtedly been irrevocably changed over the last decades, and it seems technology changes quite literally by the hour. But did you know that a desk top computer uses more energy than a laptop? Or that the type of monitor or printer attached to your computer can make a difference of double, treble or even more in kilowatts used on an annual basis? Yet the majority of us will hold our hands up and admit that we leave our computers on, whether we are using it or not, sometimes for hours without even a glance at it. As is the golden rule with energy efficiency, if you are not using it, turn it off. We seem to have a perception that it takes more energy to turn an electrical item on and off but – wrong! And if the thought of not having your computer ready for action instantly, then use your head and utilise the ‘sleep’ or ‘standby’mode. By doing so, you are saving energy whilst it obviously will generate some usage, and you can access what you need to quickly. Be aware that an alternative is the ‘hibernate’ mode. This shuts down the computer in effect, but means that when you power up, it will return to where you were previously with applications. As afore mentioned, a laptop uses less energy than a computer. This makes logical sense as there are fewer components needing to be run on an independent basis. However, easy and sensible options can be used to further make an energy saving. Lighting rears its head again as a large energy consumer, but also as an easy option to amend its usage. Simply by lowering the brightness of the screen, you are conserving power. Computers, laptops and computers come with many pre-installed programmes and processes, but in reality, many of us use very little of them. For example, games can take large amounts of energy and having a device that is constantly searching for a wireless signal is of little use if you are not checking emails or browsing regularly, whilst admittedly being extremely useful if you are. And one last thing – don’t overcharge your device. Not only is it potentially detrimental to your battery life long term, it is wasting valuable energy and your pennies. If we could judge energy consumption based on looks, you would know instantly that these guys mean business. And if you could judge energy consumption on noise, you would undoubtedly come to the same conclusion. But of course the monstrosities of the past have come of age, and the new fans on the block are already taking their energy saving seriously. When we look at extractor fans, they do have a worthwhile purpose within the home environment. By taking excess moisture out of the room where damp air exists, usually a bathroom, kitchen or utility room, they prevent a build of condensation that can result in mould and an unhealthy atmosphere. However, imagine they are doing the same job in a house where you have the heating on. Instead of just sucking out the damp air, they are effectively sucking the warm air right out of your house. You feel colder, you turn the heating up, it costs more, it uses more energy, and so it goes on. As such, when using your extractor fan, think. Limit its use to doing the job it is built for, removing condensation, and turn off as soon as is possible. Be aware that it may be making you feel a little colder, and so resist the temptation to higher the thermostat. It is also common in a lot of households for the extractor fan and light to be on one switch unit. The idea of this is that the fan automatically comes on when you enter, and switches a few minutes after you leave. Whilst this may seem a nifty and worthwhile idea, it can be problematic when looking at it realistically. Say you take a shower in the daylight – in order to use the extractor fan, you need to have the light on also. This obviously is a waste, as well as being potentially embarrassing if you don’t have a blind on the window! This theory works in reverse of course. If you go into the bathroom of an evening, the fan will come on whether you need it to or not. Also, when you are trying to clear condensation, often the time that the extractor fan is on isn’t necessarily long enough to clear the problem, and so you have to keep putting the light on again and again for no advantage. The solution here is to isolate each item on to a separate switch so they can be used independently of each other. The benefits of extra insulation are well publicised. In fact, well it come to insulating our lofts and walls, we have many companies telling us and selling us the advantages. Heat rises. If you are heating your home, the warm air will therefore go towards the highest point, the roof, and simply disappear into thin air. By insulating your roof area, you help to prevent this loss, and keep the warm air where it should be – inside. This can mean a huge saving in terms of your annual heating bill, and when you are not using as much heat, you are saving essential energy resources. It is a similar theory with wall insulation. Houses need to breathe and have air, and so ventilation bricks are essential. But they can mean that as much as a third of the heat lost in your home goes through the walls. Having cavity wall or solid wall insulation, you can save pounds of money and make a difference to the energy we use. Look out for schemes in your area that help with costs, sometimes meaning you can get such insulation for nothing. There are other ways that you can insulate your home, making it more energy efficient and helping you save money long term. By lining your curtains and blinds, you are helping to keep warm air in, and cold air out. In a similar way to the wall and roof insulation, by making efforts to minimise heat loss, you are preventing that heating thermostat being turned up a notch. And don’t forget that when it is warm outside and the sun is shining, take advantage and let the warm air in. Even when it is turning colder, the sun is a very powerful heating implement. Wooden and tiled flooring may look contemporary and more importantly for some, be easy to clean, but as those of us who have it in our homes know, it isn’t the warmest option. As much as we lose heat through the walls and the roof, our floors are guilty of the same, albeit to a lesser extent. Carpet not only feels warm underfoot, but its comparative depth along with the material it is made from, make it a far more efficient insulator. Just make sure you wipe your feet before you come in.